The dental attorneys at Nardone Limited regularly assist our dental clients in the purchase and sale of their dental practices. 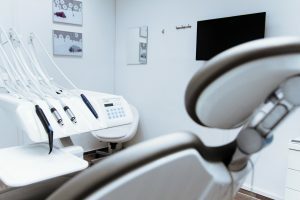 From a buyer’s perspective, there are certain due-diligence steps that a buying dentist should go through, both from a business and legal perspective, prior to deciding to purchase a dental practice. We are preparing a series of blogs, focusing on the business terms that should be addressed, beginning with analyzing and identifying a target dental practice to purchase. There are many business issues that arise during the purchase process. Our last blog, “Purchasing a Dental Practice—and the Impact of Net Earnings”, discussed net earnings and the importance of consistent, as well historical upward moving net earnings of the particular dental practice being analyzed. This blog will discuss another aspect of reviewing the financials, which is the gross profit margin and the impact it may have on the buyer. and How is it Calculated? In a dental practice setting, the gross profit margin is calculated by dividing your gross profit by revenue. The revenue is the fees generated by the dental professionals (i.e., the dentist, hygiene department, and the assistant). The dental practice’s gross profit is the revenue subtracted by the dental practice’s “cost of services” or “cost of revenue,” which are really the same concepts depending upon who you are talking with. We will use the term Cost of Revenue for this particular blog. Thus, once you divide your gross profit by revenue, you come up with the necessary gross profit margin or percentage for purposes of completing the necessary analysis. As discussed above, to fully understand a dental practice’s gross profit margin, you first have to calculate the Cost of Revenue. Unfortunately, however, many accountants and financial advisors do not prepare consistent and accurate financial statements for buyers to fully understand and analyze a dental practice’s Cost of Revenue. Cost of Revenue should include all costs directly involved in producing and delivering a specific service. These costs include labor, material, and shipping. The idea behind the Cost of Revenue is that it should measure all costs—which are variable—but directly associated with delivering the actual service. So, as an example, in a dental practice, we would include laboratory fees, supplies, and materials consumed in the performance of the service. In addition, we would include the direct labor, such as labor cost for a dental hygienist or dental assistant incurred in performing the service. Most advisors focus on the direct material cost but fail to include labor. And, after reviewing many dental practice financial statements, most advisors also fail to include commissions paid to the associate dentist for performing the service, as well. That is, most dental practices pay their associates or the owning dentist a percentage of net collections or net production (i.e., the commission). The dental practice only incurs that commission expense—again, the percentage of net collection or net production number—when the associate/owning dentist generates the revenue. Thus, it should absolutely be included in the Cost of Revenue. Finally, we should include the shipping costs involved in the laboratory services that are necessary and primarily incurred because of the services being performed. By following this methodology, it gives us a true understanding of the Cost of Revenue. Now, we would not include certain other expenses in Cost of Revenue that you would incur, whether or not you performed a particular service. As an example, an employee’s salary is not directly tied to revenue. The dental practice pays the employee’s salary whether or not the employee performs a particular service on a particular day. So, the expenses associated with salaried employees—versus the expenses associated with an hourly-rate employee that performs a service and generates income—would not be included in Cost of Revenue. Also, other expenses like rent, phone, and utility expenses are overhead costs that are not included in Cost of Revenue. The idea again, using utilities as an example, is that you would still heat your office space even though you may not perform services on that particular day. A common rule of thumb when determining what Cost of Revenue is and what it is not, is to simply ask: Would I incur this expense if I chose not to perform any services on a particular day? If the expense would not be incurred, then it would be a Cost of Revenue. If the expense would still be incurred, then it would not be a Cost of Revenue. Rather, it would fall under operating expenses. Have to a Dental Practice? As part of the overall analysis of working with and buying dental practices with a competitive advantage, we want to fully understand the impact of the costs related to the services and the overall costs related to the actual operation of the business. Thus, by breaking down the costs correctly, it will allow us to understand the relationship of each and how it impacts or is impacted by the generation of revenue. Since advisers fail to properly track Cost of Revenue for dental practices, there is no specific benchmark for the gross profit margin for a dental practice. But, we can certainly compare the gross profit margin against other well-run dental practices to get a feel of how a particular dental practice may be running. Further, if we wanted to break down the gross profit margin by procedure, it would allow us to understand what procedures are more profitable than others, again allowing us to make well informed business decisions regarding the operation and purchase of a particular practice. Nardone Limited Comment: Finally, remember, do not make decisions primarily on emotion. When you allow emotion to control a decision, it will negatively impact your judgment and cause you to intentionally or unintentionally ignore objective-time-tested prudent steps in acquiring a successful business, in this instance a dental practice. It is all about the data analytics. Review the data!!! If you have any questions regarding your acquisition of a dental practice or expansion of your current practice, you should contact Nardone Limited. Nardone Limited, a Columbus, Ohio law firm, provides specialized dental practice representation. The business attorneys at Nardone Limited specialize in representing dentists in such diverse areas as: (i) dental practice business succession planning; (ii) buys and sells of dental practices; (iii) real estate matters including lease agreements and other commercial real estate transactions relating to dental practices; and (iv) employment matters. We, at Nardone Limited, understand that a dental practice is a business, and we strive to handle transactions to minimize our client’s time spent away from the office. Whether your practice is beginning, transitioning, or encountering adversity, Nardone Limited provides the legal guidance your practice needs. Contact Nardone Limited today.